Eliminate the need to perform monthly visual inspections on your fire extinguishers. en.Gauge actively monitors a fire extinguisher for presence, obstruction and pressure, ensuring that extinguishers are always in their designated place and ready for use. An en.Gauge-equipped fire extinguisher connects to a Sensor Interface Module (SIM). 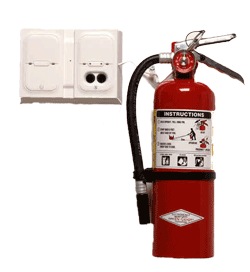 The SIM communicates information from the fire extinguisher to a building’s fire or security control panel. The SIM is available wireless, ideal for retrofitting existing buildings, or hard-wired for new construction. 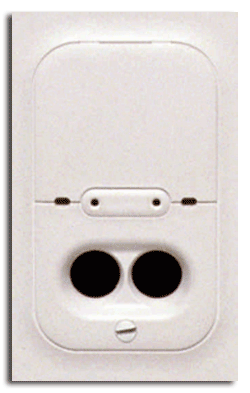 The Sensor Interface Module (SIM) is available both hard-wired and wireless and can be flush or surface mounted for an easy and aesthetically pleasing installation.